Bed sores are a very serious risk to anybody that spends a great deal of time in bed. Protected from pressure sores for wheelchair users is also essential. Find details of products and services to help prevent bed sores, ulcers and other related pressure issues in this dedicated ABLEize section for bed sores and pressure care treatment and products including specially designed chair and wheelchair cushion, mattresses and fleeces for wheelchairs and beds. Pressure sores and ulcers are often caused by unrelieved pressure caused by sitting or lying in one position for long periods of time, the best way to avoid bed sores is to relieve the pressure areas. This means ensuring that you or the patient is moved regularly or on a suitable pressure relief product such as a pressure cushion or orthopaedic mattress that can prevent sores. View sites listed here that offer preventative information and pressure product solutions along with details of pressure care cushions to prevent bed sores and a number of wheelchair fleece choices. To promote your pressure care website and any related social media pages such as Twitter and Facebook in this busy section of the ABLEize disability and mobility library simply click the Submit Your Site button above to take advantage of our low prices that offer high profile coverage. The Microclimat ™ Pressure Relief Mattress Topper provides comfort and pressure relief so you get the perfect night sleep. The unique technology allowing complete breathability to provide you with comfort and coolness by creating a microclimate inside the mattress topper. Buy online today via this Airspring site or via the Amazon shopping link. Also supplies trusted and quality pressure relief cushions and lumber supports. 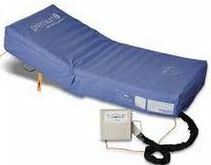 A trusted UK supplier selling pressure relief mattresses to help prevent bed sores and pressure ulcers. Choose from airflow and alternating pressure mattress products at sensible prices with fast free delivery. Buy online or by calling 0845 5194 734. Information on the prevention, medical treatment and legal options for those who have developed a pressure sore during an admission to a nursing home or hospital. U.S based. Official and entrusted health information from MedlinePlus with details of pulses and pressure sores along with how to prevent them and what questions to ask your doctor. An NHS site that explains the causes of pressure ulcers and bedsores and offers treatment and prevention advice. Offers information and advice with details of how to avoid pressure sores including how to inspect your skin, the correct seating, how regular to turn in bed and many other information with a range of external resources of pressure sores interest.